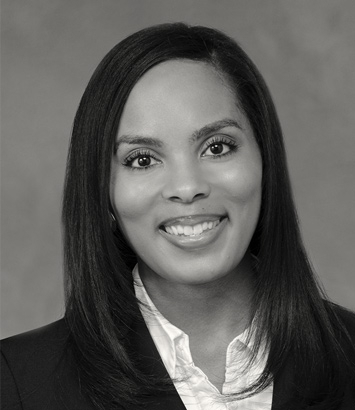 Vanessa Rogers is a labor and employment lawyer in Dinsmore's Louisville office. Vanessa handles all varieties of employment challenges for clients, ranging from discrimination and retaliation issues to on-the-job injuries. She is experienced handling and counseling clients on complex issues involving Title VII of the Civil Rights Act, the Americans with Disabilities Act, the Age Discrimination in Employment Act, Family and Medical Leave Act, Kentucky Civil Rights Act, and other state and federal employment statutes. She also defends employers in administrative proceedings before the Equal Employment Opportunity Commission, the Kentucky Commission on Human Rights, the Kentucky Division of Unemployment Insurance, in state and federal litigation, and has argued before the Kentucky Court of Appeals. Vanessa’s counsel includes drafting and updating employee handbooks, overseeing on-site investigations into issues such as discrimination and retaliation, and advising clients regarding employee job terminations and compliance with state and federal employment laws. Vanessa’s practice also includes defending employers in workers' compensation matters. She is adept at reviewing and evaluating workers’ compensation claims and medical records while counseling clients on the law. She represents clients on issues ranging from minimal injuries to permanent total disability.